The Illinois Department of Health requires Manager (CFPM) Certification and/or re-certification. Food handler certification is currently required for ALL food handlers in the state of Illinois. Click Here to Register for our Online $9.95 Class. 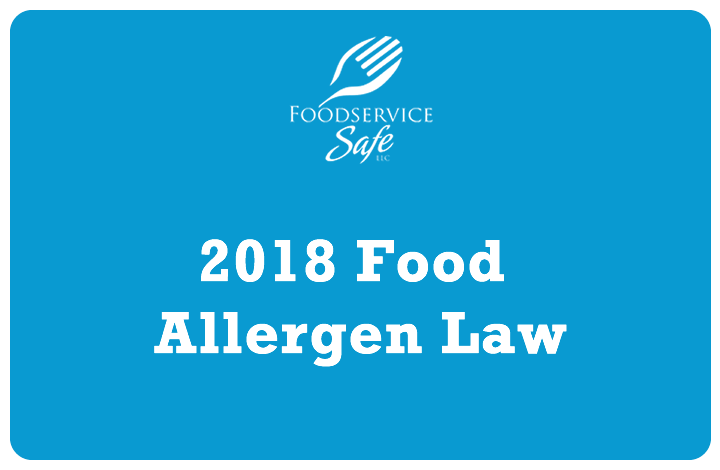 Our ANSI approved Food Allergen certification is a NEW REQUIREMENT for all restaurant managers in 2018. Click Here to Register for our $14.95 Program. BASSET certification is currently required for ALL alcohol servers in the state of Illinois. Click Here to Register for our Online $14.75 Class. Our classes are approved for use in the State of Illinois. We provide food safety certification and recertification training for your employees and managers as well as food handler and BASSET certification. We connect the latest in food safety, people safety and alcohol awareness training to the realities of job responsibilities. At Foodservice Safe, LLC, we go beyond the classroom to guide you through the entire process and ensure your success. Let us help you navigate through the curves of manager food safety certification, risk management, alcohol and food handler training so you can focus on what you are best at – running your operation. 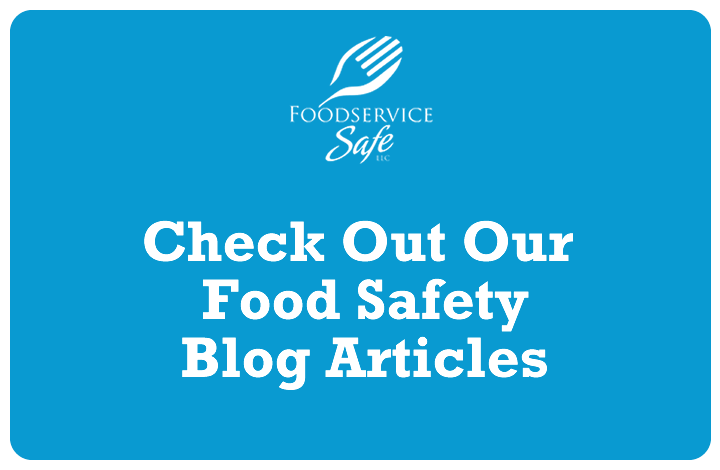 We provide food safety certification programs and classes around Illinois and the Midwest. Food safety certification/recertification class for Wednesday, April 24, 2019. Meets the Illinois Department of Public Health food safety manager requirement. Spanish food safety certification/recertification on Tuesday, April 30, 2019 Meets the Illinois food safety certification manager requirement. Food safety certification/recertification class for Monday, May 6, 2019. Meets the Illinois Department of Public Health food safety manager requirement. Food safety certification/recertification class for Tuesday, May 14, 2019. Meets the Illinois Department of Public Health food safety manager requirement. Food safety certification/recertification class for Monday, May 20, 2019. Meets the Illinois Department of Public Health food safety manager requirement. Food safety certification/recertification class Tuesday, May 21, 2019. Meets the Illinois Department of Public Health food safety manager requirement. Food safety certification/recertification class for Monday, June 3, 2019. Meets the Illinois Department of Public Health food safety manager requirement. Spanish food safety certification/recertification class on Tuesday, June 18, 2019. Meets the Illinois Department of Public Health food safety manager requirement. Food safety certification/recertification class for Monday, June 24, 2019. Meets the Illinois Department of Public Health food safety manager requirement. Food safety certification/recertification class for Tuesday, June 25, 2019. Meets the Illinois Department of Public Health food safety manager requirement. Food safety certification/recertification class for Wednesday, July 10, 2019. Meets the Illinois Department of Public Health food safety manager requirement. Spanish food safety certification/recertification on Tuesday, July 16, 2019. Meets the Illinois food safety certification manager requirement. 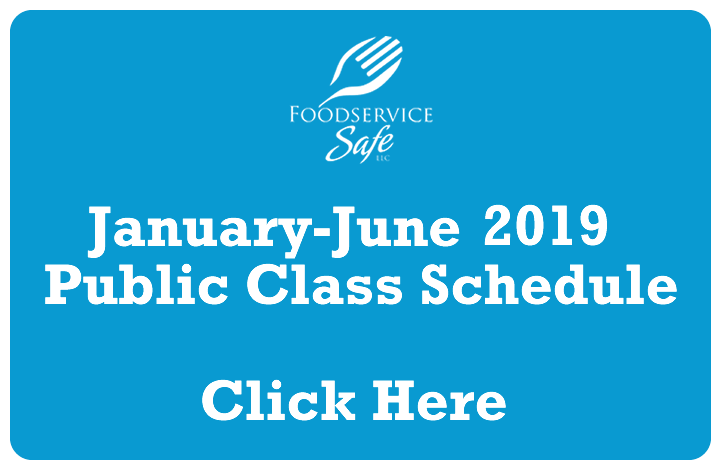 Food safety certification/recertification class Monday, July 25, 2019. Meets the Illinois Department of Public Health food safety manager requirement. Spanish food safety certification/recertification on Monday, July 29, 2019. Meets both Illinois and Wisconsin food safety manager requirement. Food safety certification/recertification class for Tuesday, August 13, 2019. Meets the Illinois Department of Public Health food safety manager requirement. Food safety certification/recertification class for Monday, August 19, 2019. Meets the Illinois Department of Public Health food safety manager requirement. Food safety certification/recertification class for Monday, August 26, 2019. Meets the Illinois Department of Public Health food safety manager requirement. Food safety certification/recertification class for Tuesday, August 27, 2019. Meets the Illinois Department of Public Health food safety manager requirement. Food safety certification/recertification class Monday, September 9, 2019. Meets the Illinois Department of Public Health food safety manager requirement. Spanish food safety certification/recertification on Tuesday, September 10, 2019. Meets both Illinois and Wisconsin food safety manager requirement. Food safety certification/recertification class for Monday, September 23, 2019. Meets the Illinois Department of Public Health food safety manager requirement. Food safety certification/recertification class for Monday, September 30, 2019. Meets the Illinois Department of Public Health food safety manager requirement. Spanish food safety certification/recertification on Tuesday, October 8, 2019 Meets the Illinois food safety certification manager requirement. Food safety certification/recertification class for Monday, October 21, 2019. Meets the Illinois Department of Public Health food safety manager requirement. Food safety certification/recertification class for Tuesday, October 22, 2019. Meets the Illinois Department of Public Health food safety manager requirement. Food safety certification/recertification class Monday, October 28, 2019. Meets the Illinois Department of Public Health food safety manager requirement. Food safety certification/recertification class for Monday, November 4, 2019. Meets the Illinois Department of Public Health food safety manager requirement. Food safety certification/recertification class for Tuesday, November 5, 2019. Meets the Illinois Department of Public Health food safety manager requirement. Spanish food safety certification/recertification on Monday, November 11, 2019. Meets both Illinois and Wisconsin food safety manager requirement. Food safety certification/recertification class Monday, November 18, 2019. Meets the Illinois Department of Public Health food safety manager requirement. Food safety certification/recertification class for Monday, December 2, 2019. Meets the Illinois Department of Public Health food safety manager requirement. Food safety certification/recertification class for Tuesday, December 3, 2019. Meets the Illinois Department of Public Health food safety manager requirement. Food safety certification/recertification class for Monday, December 9, 2019. Meets the Illinois Department of Public Health food safety manager requirement.